The leaf should not be used for edema when there is reduced cardiac or kidney function. Birch tar can cause skin irritations and is no longer recommended because of the possible presence of cancerogenic hydrocarbons. Native to Europe from the northern Mediterranean regions to Siberia and to temperate regions of Asia, it is also found in North America. The tree is handsomely deciduous, reaching 100 feet in height, with pale gray papery bark, toothed leaves, and catkins in the spring. The birch flourishes in woods, thickets, and in private gardens. The leaves are collected in the wild during the spring. The medicinal use of the tree has been known since the earliest of times, but it was also known to have other valuable uses. Its name is thought to have derived from the Sanskrit "bhurga", meaning "tree whose bark is used for writing on". Although the tree was known to classical writers, it was Hildegard of Bingen, a medieval abbess and mystic who wrote about herbal medicine. She was the first European to document its medicinal properties. In the Highlands of Scotland, birch sap is tapped in the spring and drunk as a treatment for bladder and kidney complaints. Its name in the Nahuatl (Aztec) language was derived from the location of the tree. Aylin means "birch growing by water". Tepeylin means "birch growing in the mountains". The Aztecs used the leaves in a formula for an enema to treat dysentery. They also used the bark in a liquor to "clear the bowels" and in a salve to heal wounds. In Sonora, the plant is still used for wounds and indigestion. A German study indicated that the leaves were useful in treating bacterial and inflammatory diseases of the urinary tract. infusion made from the leaves for the removal of waste products in the urine thereby treating kidney and bladder stones, rheumatic conditions, and gout. Birch tar is a clear, dark brown oil obtained through a distillation process and used for parasitic infestations of the skin and other chronic skin complaints. It is also a constituent of Unguentum contra scabiem used in the treatment of scabies. 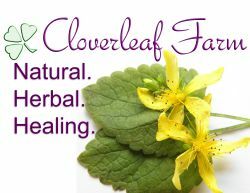 The leaves are used with other diuretic herbs to reduce fluid retention and swellings. The bark can be macerated in oil and applied to rheumatic joints. The Himalyayan Silver Birch is used in Ayurvedic medicine as a treatment for convulsions, dysentery, hemorrhages, and skin diseases.